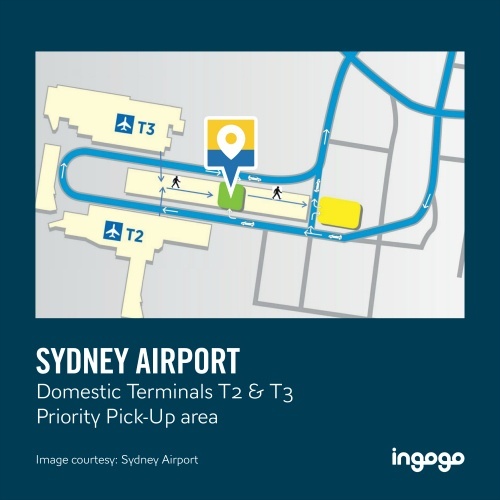 Booking a taxi in Sydney just got easier with ingogo, the taxi booking and payment service. In an Australian first, ingogo offers Fixed Fares. Fixed Fares are calculated on the best value route meaning you’ll save on taxi fares compared to standard variable meter trips. And best of all, there’s no more meter watching and no surge pricing! Your Sydney taxi fare is agreed prior to placing the booking with no more hidden surprises. Book a taxi in Sydney with the free ingogo app or book online for now or up to 48 hours in advance – anywhere, anytime. With ingogo you can track your taxi location on a map and even call or text your driver to ensure a seamless pick-up. Plus, you can jump out of the taxi quickly with auto pre-payment and trip receipts are automatically emailed to you at the end of your trip. You’ll never lose a receipt again. Send business trip receipts straight to your work email or Finance Department. Booking through the ingogo taxi app to access trip history at any time. Ability to contact your driver within 24 hours of your trip to help retrieve lost property. Great customer support. Contact our National Support Centre on 1300 008 294 during business hours or complete the form on our contact us page. Travelling interstate? Book ahead and beat the queue. Save time and book a taxi as soon as you land, then head straight to the Pre-Booked Taxi areas, where your taxi driver will be waiting for you.